As the Philippine automotive industry stumbled 15 percent in 2018 due to a perfect storm of rising inflation, higher fuel prices, and the implementation of the revised excise tax on new vehicles, Nissan Philippines managed to see sales rise 40 percent last year—the only manufacturer to exhibit a double-digit sales growth. 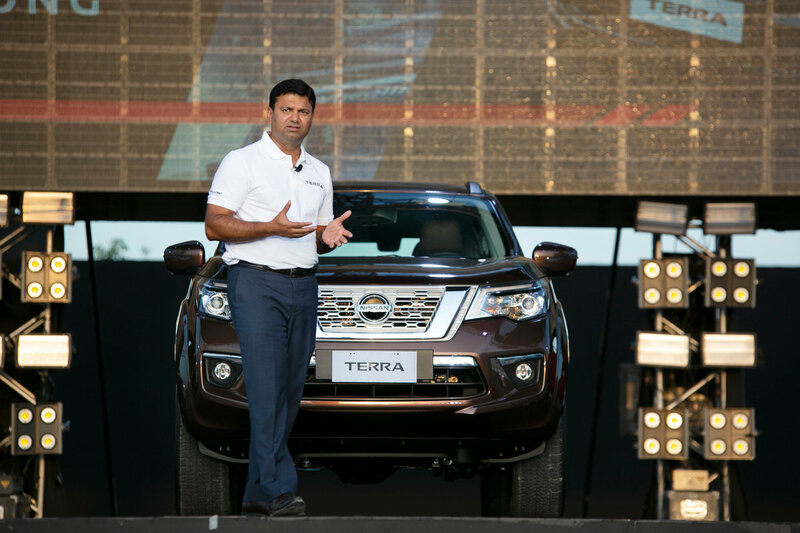 Sitting down with Nissan Philippines President and Managing Director Ramesh Narasimhan, he revealed that their formula for success rests on 4 pillars: Product, Service, Customer Experience, and People. The first two pillars, Product and Service, are easily identifiable. Nissan Philippines’s move to focus on Nissan Intelligent Mobility or NIM has greatly helped them in terms of customer awareness, and as a result, has driven interest in vehicles such as Navara and Terra. In fact, Narasimhan revealed that when they looked at buzzwords that defined Nissan in 2018, “NIM” was one of the keywords that made. Thus, it comes to no surprise that the Navara and Terra combined already contribute to almost 60 percent of Nissan Philippines sales last year. Hand-in-hand with new and constantly evolving products, Nissan Philippines has made it a point to consider the cost of ownership as well. Working closely with their product engineers and dealer-partners, they’ve managed to lengthen the interval between preventive maintenance service. Today, Nissan’s PMS schedule is every 10,000 kilometers or every 6 months—twice as long the industry standard of 5,000 kilometers or every 3 months even on vehicles such as the Navara, Urvan, and Almera. Combine these with an improved customer experience via their new NREDI 2.1 retail visual design and expanding dealer footprint (44 dealers with 8 to 10 planned to open in 2019), Narasimhan says that the goal of “delighting customer expectations” continues this year and with that, they’re confident of maintaining their Number 3 position in the Philippine car market. The most interesting pillar of all though is the last one: People. Narasimhan says that Nissan has had great success in the country because of the men and women behind the brand. He says that even if a car company has the best products or offers the best service, if the people aren’t motivated, if passion isn’t there in what they do, it’s all for nothing. Narasimhan is quite right about this. Contrary to popular belief, Nissan Philippines’s success didn’t happen overnight. While the Philippine automotive industry has grown by an average of 20 percent in the past three years, Nissan has grown by 58 percent—or three times the industry average. It’s only when their sales have continued to rise, while others slump has this achievement been brought to light. The grit and determination of the people in Nissan Philippines means they’ve successfully weathered difficult challenges, cementing their return as one of the major players in the local automotive scene once more. How ABOUT THE QUALITY OF YOUR AFTER SALES?